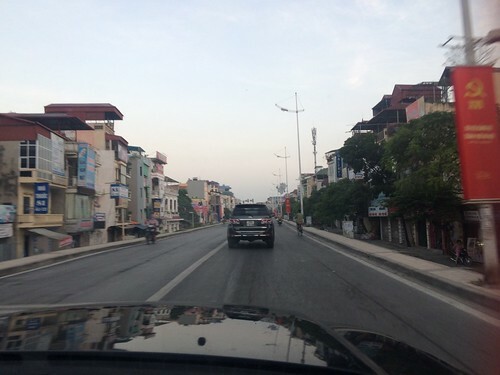 Today bear bile farming ends in Quang Ninh, Vietnam – as animal welfare charity Animals Asia rescues the last bear in the province and closes the last bile farm. The rescue will mark the end of a series of rescues carried out over the past six months, with a total of 33 bears rescued. Quang Ninh had previously been a hotspot for bile farming – welcoming domestic and international tourists to its farms. Today the final bear – nicknamed Hercules by the team – will be picked up by Animals Asia from the Forestry Protection Department (FPD) in Quang Ninh. The team will then drive the 200km back to Animals Asia’s sanctuary in Tam Dao National Park, where Hercules will join the previously rescued bears in quarantine ahead of their rehabilitation. This rescue is the culmination of more than eight years of campaigning in the province by Animals Asia. Vietnam still has over 1,200 bears caged and facing regular bile extraction. The bears – mostly moon bears – suffer from tiny cages, inadequate diets, little or no veterinary care and painful bile extractions. The bile is used in traditional medicine. The rescues followed a decree from Vietnam’s Prime Minister that the province must end bear bile farming. The Quang Ninh FPD was also instrumental in the rescues, working with bile farmers and clearing the way for Animals Asia’s rescue teams. The decree followed an international campaign by Animals Asia that saw nearly 120,000 signatures from animal lovers across the globe added to an open letter to the Prime Minister. They were joined by 12 diplomats – and celebrities Ricky Gervais, Judi Dench, Stephen Fry, Olivia Newton John and Ali MacGraw. The fact that the last bear is to be picked up from the FPD – rather than from the bile farm itself – is indicative of the fight it has taken to ensure all bears were handed over. Months of pressure has meant this owner eventually giving up the bear – but refusing to allow Animals Asia to pick him or her up from his property. The 33 bears rescued from the province have been relocated to Animals Asia’s Vietnam Bear Rescue Centre in Tam Dao National Park, where they’ve joined 115 other moon and sun bears being rehabilitated and cared for by Animals Asia’s expert bear and vet teams. 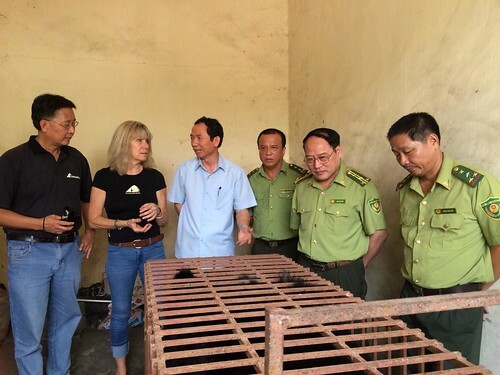 “That we could help bring an end to bile farming in a place previously known as the worst bear bile farming province in Vietnam is something to celebrate, and also a reason to look to the future with optimism. Vietnam has shown that it wants this situation to end, and that it’s capable of taking the steps to put an end to it once and for all. “Once again in Vietnam, we were allowed to put our message across – with the backing of tens of thousands of animal lovers here and across the world. That message was heard, and the authorities took action and did the right thing. We are so grateful for that. Animals Asia has rescued over 570 bears from the bile industry in China and Vietnam.